If you’re of a particular age, like me, then you know the rest. This was the famous phrase shouted before you saw a blur of red and blue rush across the sky. Comic books, cartoons, television shows and movies have all told the story of the man from Krypton. 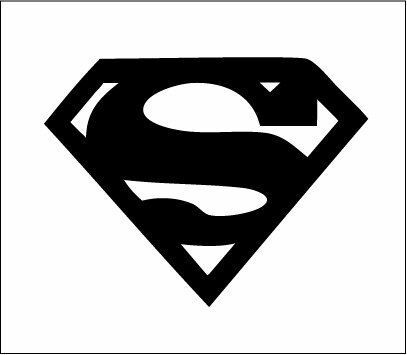 Whether it be his iconic “S” on his chest, his flowing cape or the fact that he wears his underwear outside of his clothes, the world over knows of the hero Superman! Now let’s say you’ve been living under a rock or comic books just aren’t your get down, the story of Superman is one that has been told for years. Born on a planet in a galaxy far, far away to save his life from the doom of a dying world his father sent his only begotten son to the planet Earth. Knowing he would have abilities greater than those of the mortal men he would encounter his father sent him not to rule but to inspire. To be a beacon of light and hope for all mankind. Whether it was his ability to fly, look through walls or his amazing strength & speed, or even coming back from the dead Superman performed “miracles” on every page. Now I know you may be thinking, “I’ve heard this one before…” well you’d be right. The story of a man that can transcend the problems and pains of the everyday man to rise up and inspire the greatness of those he touches has always existed throughout human history, it needs to. We as a people have always needed something to believe in! Something to push us past our circumstances and give us hope. I fear though that we have become a people that ONLY waits for a hero to arrive and have become frozen when it comes to saving ourselves. The funny thing about it all is that Superman’s arch rival has always been Lex Luthor. A man that despised him because he refused to believe that human beings needed anything or anyone other than ourselves. That a man could learn, train, grow and become anything and everything he would ever need. Even when he would go into one of his “bad guy monologues” he would relish in the moment of one-upping this “savior”, shouting, “With all of your abilities I want you to look into the eyes of the MAN that beat you!” For all of his great ideas and schemes Lex would always lose to the hero, but he would learn from it and try again. Defeat never broke him, it only inspired him to try harder. I guess Superman did his job. This moment is dedicated to all of those people out there without a cape. The driven ones, the committed ones…the inspired. I can’t say there will never be a celestial being that comes from the sky to make things better one day…I only hope you’re not waiting for that day to be the best version of yourself. …to inspire the fire within a Lex Luthor.